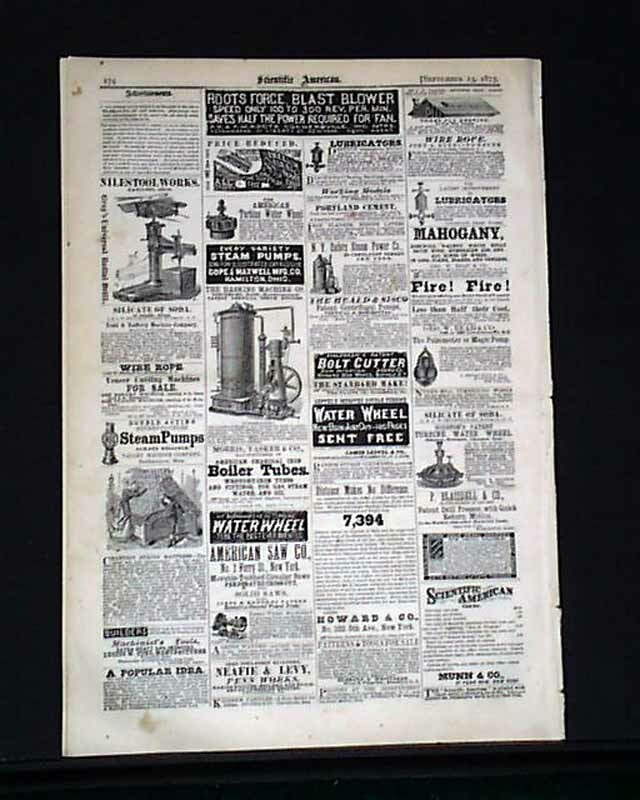 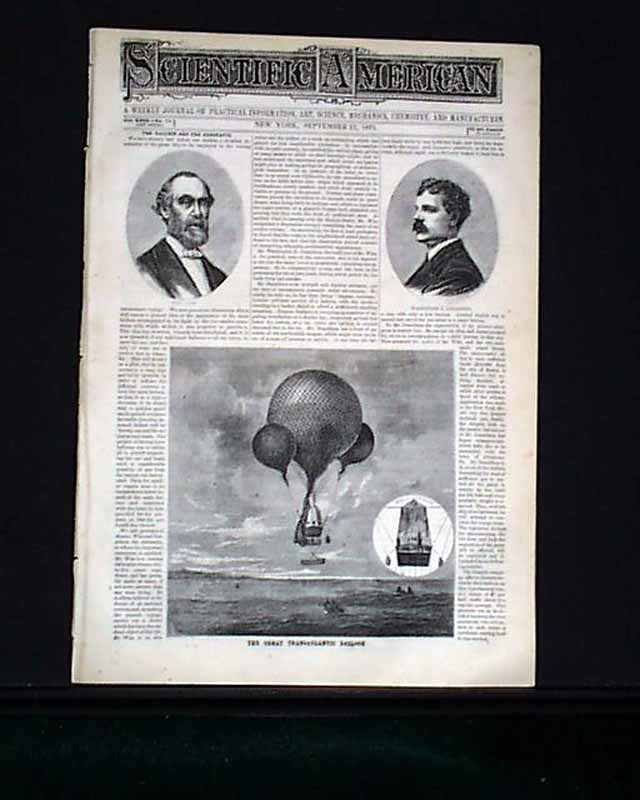 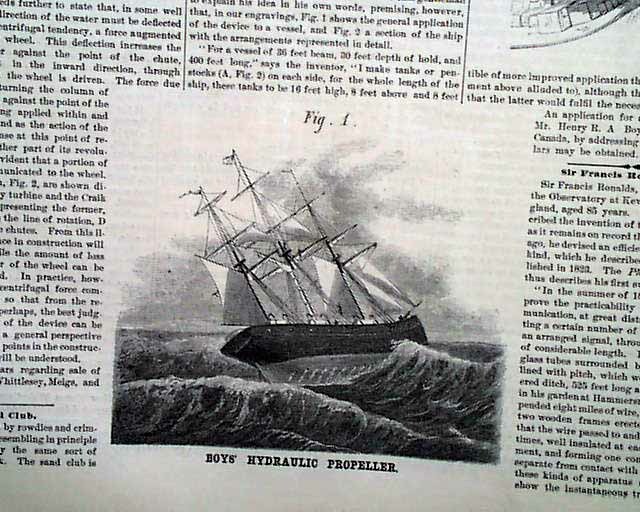 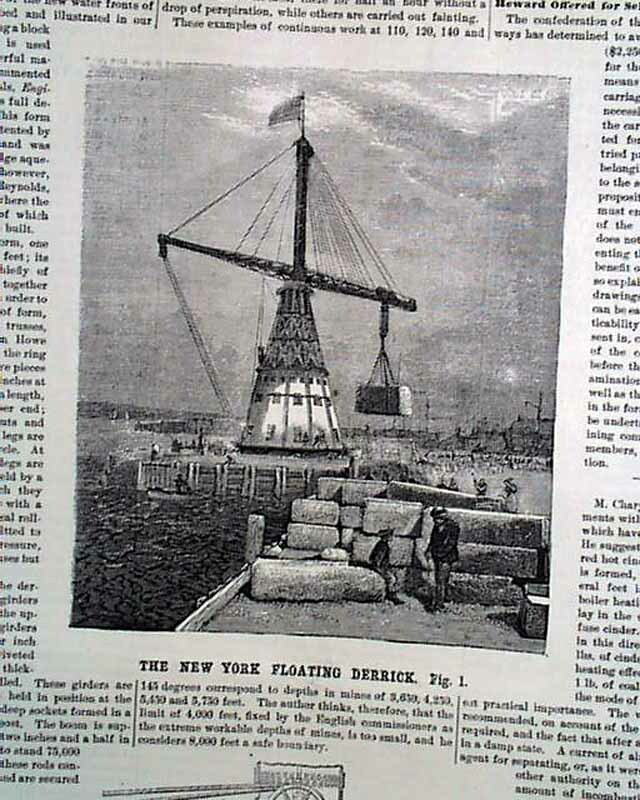 SCIENTIFIC AMERICAN, New York, Sept. 13, 1873 A nice issue for any ballooning enthusiast as the front page is taken up with 3 prints, the largest captioned: "The Great Transatlantic Balloon" with prints of its "aeronauts" and a detailed article. 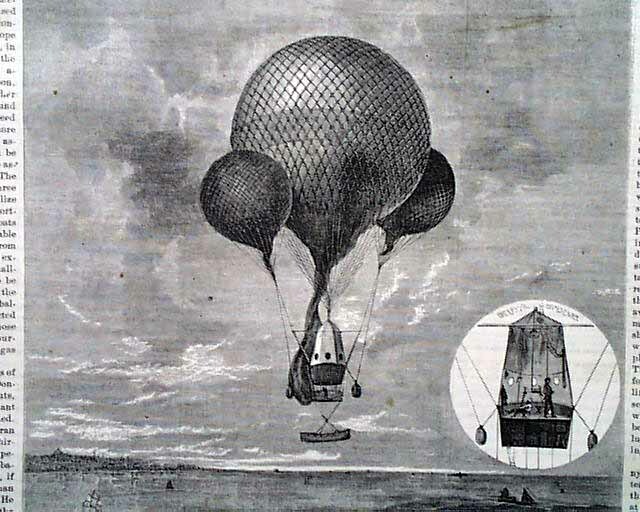 In reality they were forced to land in New England, never making it across any water, however this was the first attempt to cross the Atlantic in a balloon. 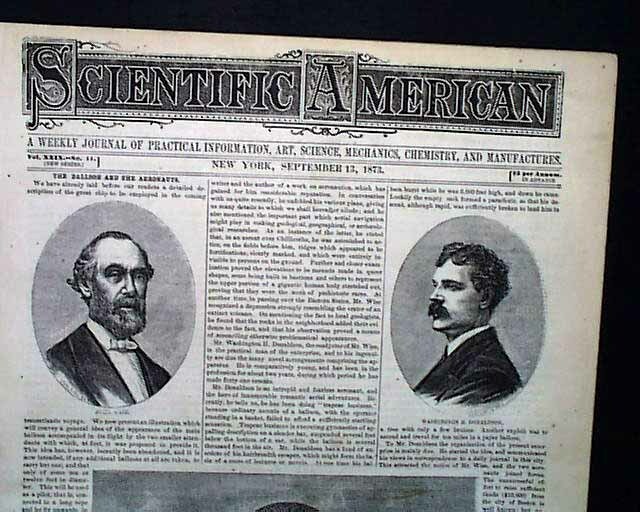 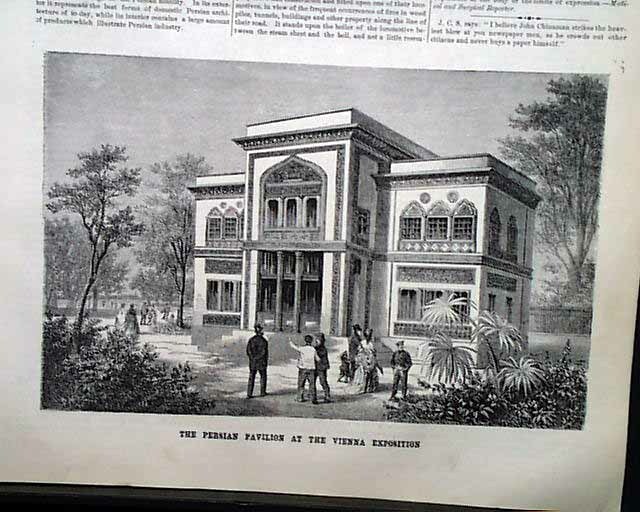 Inside pages are taken up with other scientific inventions & improvements with related illustrations.